Lamy Safari Pastel Mint Rollerball is available for online purchase at Dromgoole's. Lamy Safari Pastel Mint Ballpoint is available for online purchase at Dromgoole's. 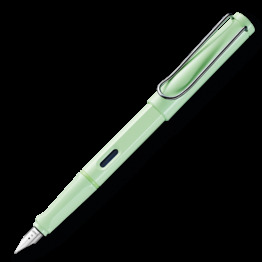 Lamy Safari Pastel Mint Fountain Pen is available for online purchase at Dromgoole's.